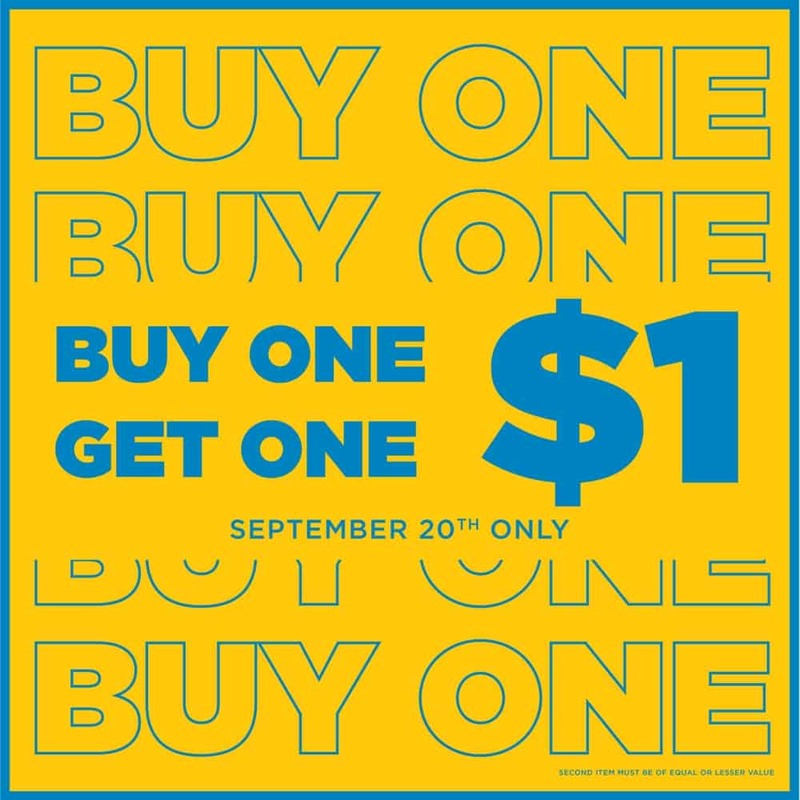 The Buy One, Get One For $1 Sale Is Back At Bluenotes! Some exclusions may apply. Excludes jeans and select long bottoms. See store for details.